Volunteers, schools and businesses gathered at the Lyric Theatre, Belfast on Monday 4 June to celebrate and recognise the success of Time to Read – a volunteering initiative developed by Business in the Community and supported by the Department of Education. 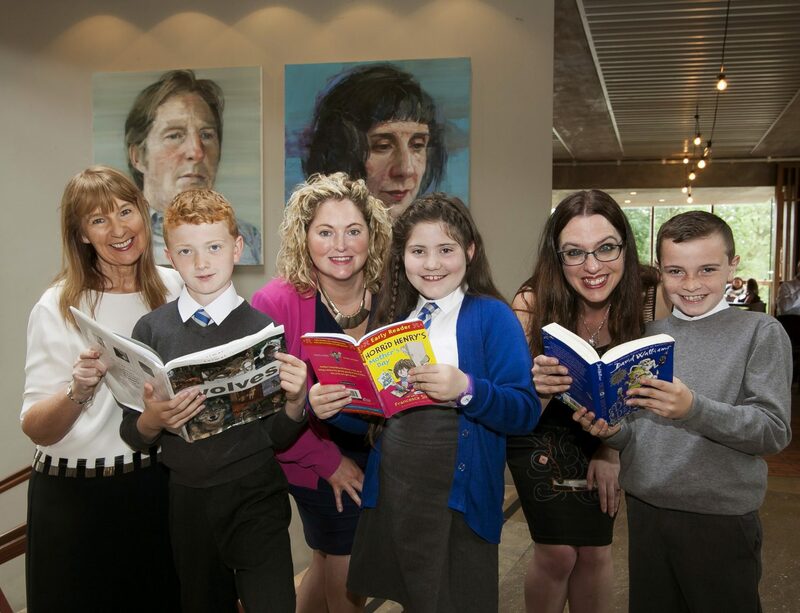 Pictured at the event are pupils from St Comgall’s Primary School in Bangor, with Faustina Graham, Department of Education (left); Claire Gordon, Business in the Community (centre); and Myra Zeph, Author and NI Children’s Writing Fellow. The programme aims to improve literacy, foster a love of reading, and build the confidence and social skills of children at Key Stage 2 in local primary schools. More than 80 volunteers came along to the celebration event, to hear about the impact the programme has made on school children across Northern Ireland. Opening the event, author and NI Children’s Writing Fellow, Myra Zepf treated attendees to a special reading from ‘A Child of Books’ by Oliver Jeffers. Her keynote speech examined the power of reading, especially reading aloud – and the difference it can make to a child’s overall wellbeing and mental health, in addition to improving literacy and life chances. Claire Gordon, Director of Education & Jobs, Business in the Community, explains: “We are delighted to host this special event today, to honour and recognise the contribution that our Time to Read volunteers make to improving the life chances of our children. Positive and early literacy intervention has been identified as a real need. In fact, scientists have found that children who can read well by the age of seven are more intelligent in later years. If your business is interested in getting involved in Time to Read, please visit www.bitcni.org.uk/timetoread to find out more.